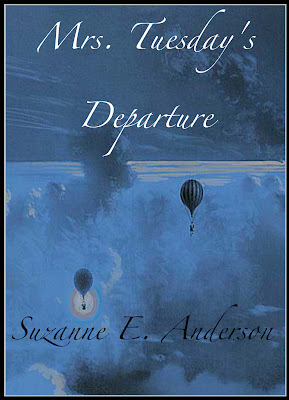 This week my novel MRS. TUESDAY'S DEPARTURE will be published on Amazon.com as a Kindle book and on Barnes and Noble.com's Pubit ebook platform. So to celebrate the launch, over the course of this week I will share with you why I made the decision to self-publish, the mechanics of doing it, and why this option might work for you too. Why did I decide to self-publish? A couple months ago, my friend Larramie, who features up and coming authors at her blog, The Divining Wand, interviewed another of my blogging friends, Keetha whose blog I have followed for over a year. Keetha has written two delightful books on Southern cooking and Southern life called: Culinary Kudzu and More Culinary Kudzu. While I knew that Keetha had written these books, it wasn't until I read Larramie's interview with Keetha that I realized that she had self-published both books. I was so impressed that I immediately went to Amazon and ordered both books for my sister-in-law, Kathy, who loves all things Southern. But even more than the books themselves, I was impressed with Keetha's courage and creativity to self-publish both books. Last month, Larramie featured an interview with Karen McQuestion, who self-published A Scattered Life as a Kindle book through Amazon. Karen has made headlines when A Scattered Life was optioned for a film and then picked up by Amazon's Encore publishing arm and brought out in trade paperback. Once again, I was very impressed with Karen's courage to put her work out there. After reading Larramie's very informative interview, I wanted to learn more about self-publishing. Which led me to J.A. Konrath's blog: A Newbie's Guide to Publishing. JA Konrath's blog is, in my opinion, the singular best source for self-publishing authors. Mr. Konrath not only knows the ins and outs of ebook publishing, he's published several of his own books on these platforms, made money, and shared his views and tools. He is probably one of the most knowledgeable, generous bloggers on the 'net in this regard. And finally, there was simply my interest in the growth of Kindle, the growth in self-publishing via ebooks, and the impact of both on the publishing industry. JA Konrath has written a very compelling article on how Amazon's agressive royalty structure and flexible pricing structure influenced his decision to publish on the Kindle platform. All of these events and my own interest in anything entrepreneurial compelled me to dip my toe into the water and see what happens. I believe the most empowering aspect of publishing via these platforms is that it allows writers to get their books directly into the hands of readers, and then the market will decide what happens from there. I've already learned a great deal about editing, formatting, designing a book cover. All of which I will share with you over the next several blog posts. I'm looking forward to learning about marketing my book (your suggestions are welcome!) and I'll share what I learn here as well. So there you have it! Another excellent adventure is launched. Well done you! I am very interested in knowing more about the process and the steps involved once you made your decision. 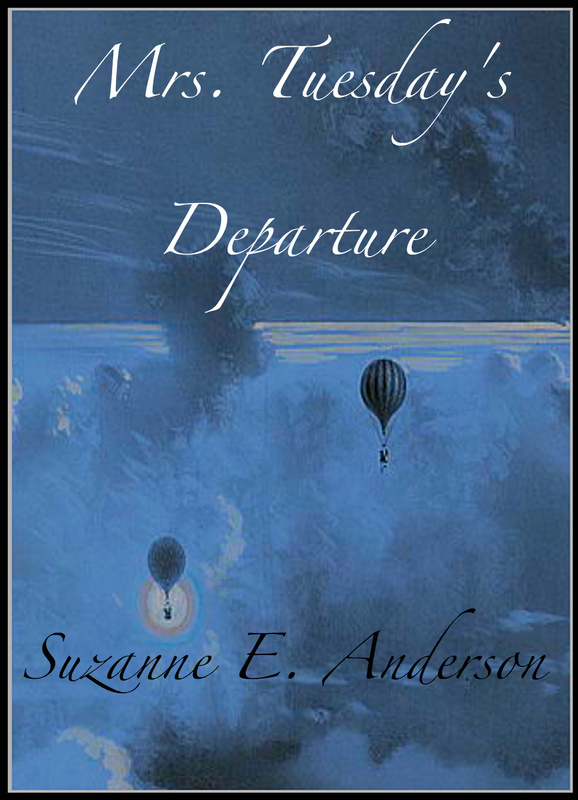 I've read just enough of Mrs. Tuesday's Departure to want to know the backstory. Can't imagine where the idea came from? I am so flattered! Thank you. What kind words. I'm thrilled to have been a small part of what led you to self publish. This is exciting! Congrats, Suzanne! What a major accomplishment! Hooray! Very very proud of you and your great adventure.